Why should only your pet enjoy in luxury? If you already have Swarovski Baby Bathtub, then this latest Swarovski Element Saracen bath, by Catchpole & Rye is the offer not to be missed. 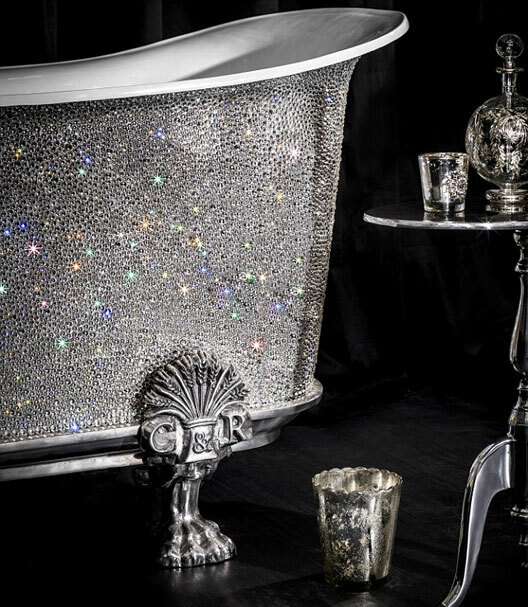 £150,000 ($225,800) bathtub studded withSwarovski crystals goes on sale at Harrods. 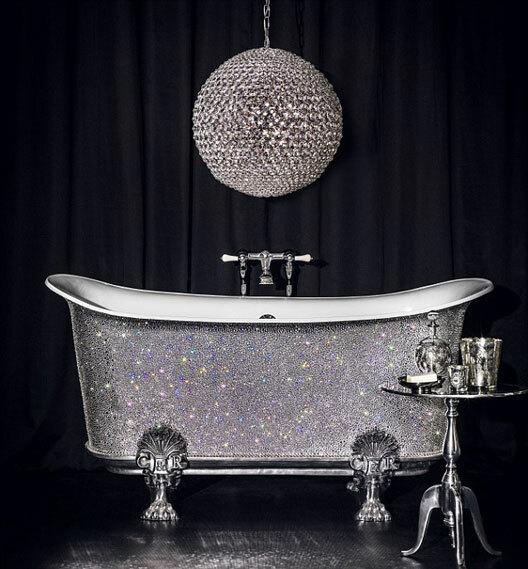 This luxury bathtub boasts over 22,000 white Swarovski crystals, in four sizes. Each of the crystals has been individually hand applied on a bath, made from cast metal with an enamel interior. The whole painstakingly process took over 200 hundred hours. The result is a truly sparkling object d’art. 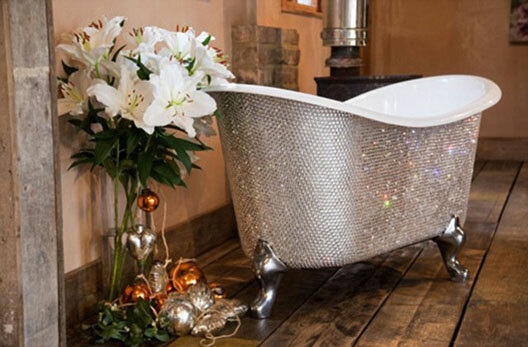 If you are a bit short for some £30,000 ($45,200) you can choose a slightly cheaper, but also magnificent ‘Baby Bateau’ bath, finished with thousands of a single style of crystal creating a consistent glittering effect. This version will cost you £120,000 ($180,700). Also, even if this isn’t good enough for you, you can opt for personal customisation version. This made-to-order tub can be covered in several shades of Swarovski crystal options, including gold, blue and green crystals. Your unique bath can be embellished with some names, crests, or logos in different coloured crystals. The price of course depends on requirements. “If you have the money, you want the bath, then the price isn’t the issue,” O’Donnell said. We have to agree with him.